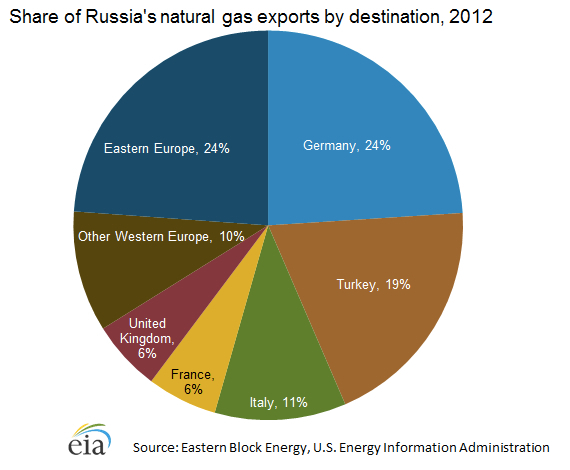 So U.S. Fracking Will Save Europe from Russia? The US should make it easier for Europeans to buy American natural gas in order to reduce its allies’ dependence on Russian energy, the top Republican in the House of Representatives has said. John Boehner’s statement on Tuesday brought national security concerns into the centre of a debate on how the US should use supplies of oil and gas from its shale. From the tables, we see that Russia is the second largest natural gas producer behind the U.S., but it is the world’s largest exporter. Russia also exports 28% of all it produces. As always with energy statistics, every publication has its preferred unit of measurement, so we have to do some very simple math to compare. One cubic metre of natural gas is equivalent to 35.3 cubic feet, so Russia’s 185 billion cubic metres (bcm) of natural gas exports translates into roughly 6.5 trillion cubic feet. And where does it go (from the Energy Information Administration‘s Russian analysis here)? Shale gas to the rescue? 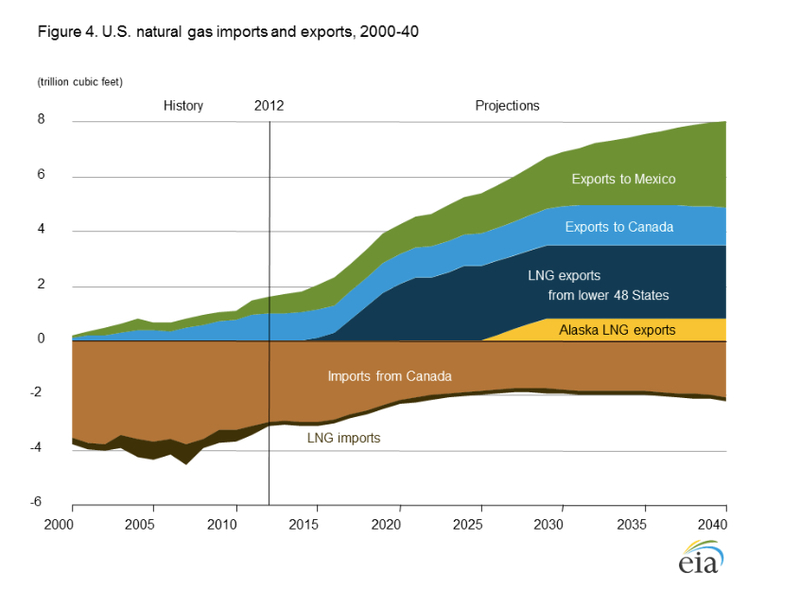 The U.S. government’s Energy Information Administration (EIA) released this graph in its “Annual Energy Outlook 2014“. The chart shows LNG exports kicking in around 2016 and then rising to 2 trillion cubic feet in 2020 and then plateauing at approximately 3 trillion in 2025. At the same time, imports will be declining by around 1 to 2 trillion cubic feet or so. This doesn’t entirely cover current Russian exports of 6.5 trillion cubic feet, but it is certainly a significant amount. Nonetheless, and notwithstanding the fact that U.S. LNG exports will not commence for a couple of years or more, the U.S. change in trade is material. However, this all assumes an “other things being equal” type of world. But things will certainly not be equal going forward due to one particular country: China. 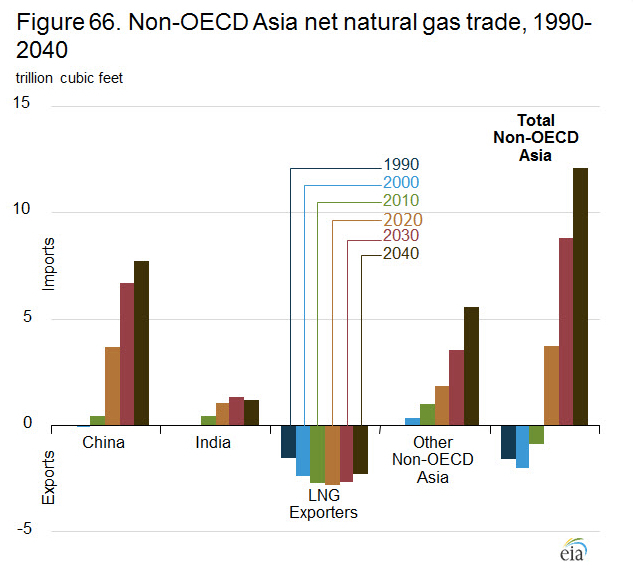 From the EIA’s “International Energy Outlook 2013“. Accordingly, it is a very moot question as to whether any U.S. origin LNG exports end up in Europe as opposed to the more likely destination of Asia—where insatiable demand will likely translate into premium pricing. Now this is where it gets interesting. If Vladimir Putin decided not to play nice, then he would likely use oil to turn the screws on the West. 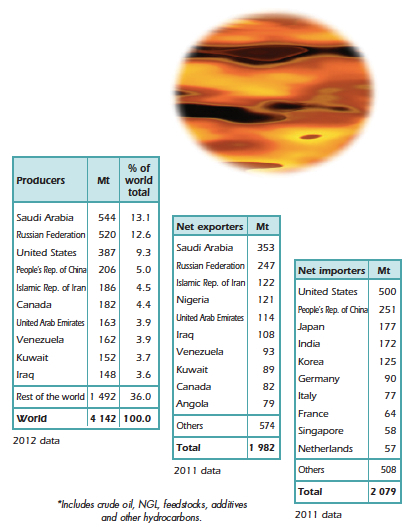 As usual, we have a table with different units, but one metric tonne is roughly equivalent to 7.3 barrels of oil. 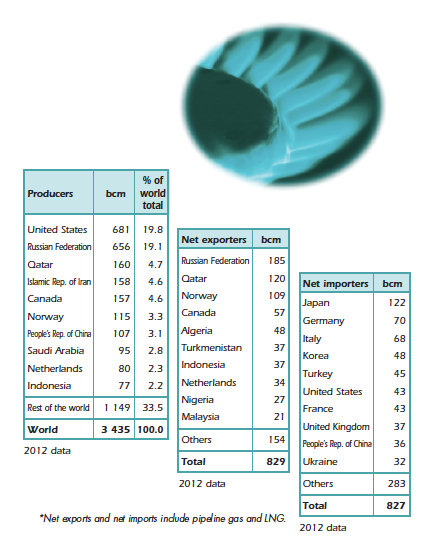 Accordingly, Russia’s 520 million tonnes of production is around 3.8 billion barrels per year. This, in turn, is about 10.3 million barrels per day (bpd)—47% of which goes abroad. In short, he has a 5 million bpd oil cosh to beat the West. In a recent post, I referred to the IEA’s observation that oil inventories have fallen considerably, mostly due to political troubles in Libya and Iraq, so any explicit, or even implicit, oil threat would be enough to send prices shooting higher—and global financial markets lower. Put another way, current global consumption is a little over 80 million bpd, and excess production capacity is estimated at around 1 to 2 million bpd above that. So if Putin turned the oil tap off, the global oil market would fall into a significant shortfall. Overall, I see neither U.S. shale gas nor U.S. tight oil having any diplomatic impact on Russia. The major check on any Putin aggression will likely come from Russia’s oligarchs, who all have a major stake in the global capitalist status quo. Will that be enough? I don’t know.